When I think about the climate crisis, and the movement experiencing successes and setbacks in an attempt to rally the world to do something about it, I find myself thinking about Dr. Martin Luther King, Jr. Many scholars acknowledge that King and other civil rights leaders who supported the sanitation workers’ strike in Memphis in 1968 planted a seed for the concept of environmental justice. 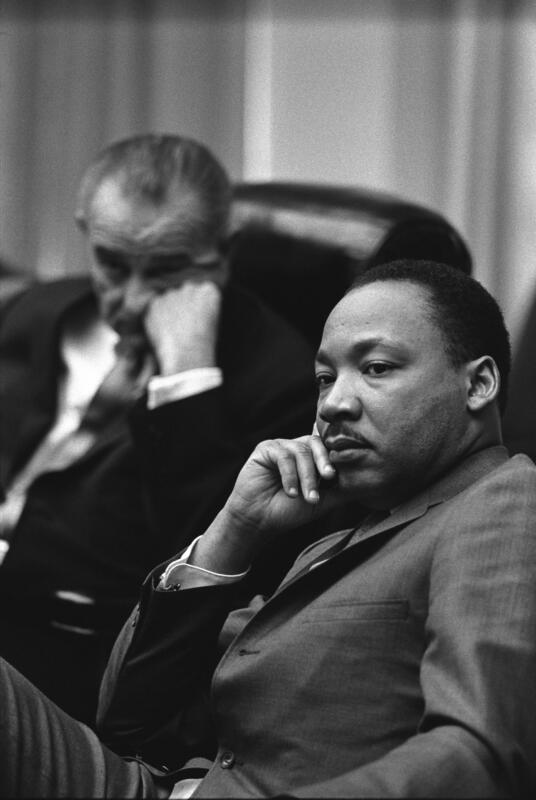 King understood that environmental degradation–like war and segregation–was a symptom of injustice, and that injustice must be fought holistically. Years later, many Americans understand the link between poverty, racism, public health, and a toxic environment. Yet when it comes to the mother of all toxic environments–an atmosphere overburdened with greenhouse gases–many of us, even or perhaps especially on the left, prefer to keep the climate crisis in its own silo. When I bump into these silos, I miss what I imagine would be King’s leadership today. Beyond his powers of poetry and his masterful strategic and political skills, King was guided by an unfailing belief in the oneness of humanity. Though his belief derived from his Christian faith, the message is undeniably universal. Still, universal messages often fail. What I find so moving about King is that every boycott, every speech, every position he took sprang from this profound understanding of interconnection, and his understanding that the “inescapable network of mutuality” was fundamental to our spiritual, physical, and emotional well-being as a species. To our survival, in fact. He spent his short life living out this vision, grappling with his own limitations, insisting on fierce compassion to make those who oppress see the people–fellow human beings–who are suffering. And of course once you see yourself in the “other,” whether oppressed or oppressor, compassion moves you closer to justice. That is what makes his work stand out from much (though certainly not all) of the commendable work being done today in the climate movement. We miss, or don’t express often enough, a core orientation toward unity with all humans, and really all life forms, on this planet. It’s easy to eulogize and long for a leader who can shake us from our ignorance about what we are doing to the planet and each other, someone who relentlessly focuses us on the big picture and does it with such oratory grace. And since we’re celebrating Dr. Martin Luther King’s birthday, I’ll indulge myself a little bit today. But tomorrow I’ll get back to my own training, learning and relearning King’s central lesson, doing my best to help dismantle the ideological silos that keep justice at arm’s length. Though of course we draw inspiration from the famous leaders who remind us to keep our eyes on the prize, it is individuals’ power to witness and create change that always has and always will constitute that collective gaze. Dr. King himself would remind us of exactly that. Beautifully said. Happy MLK Day! Gorgeous writing! Could you say more about “war and segregation” and their connection to “environmental degradation.” Interestingly, I don’t often link these concepts in my thinking about our current environmental crisis. I know about environmental racism and have worked with many of my inner city students in Oakland who live with its brutal effects. I know how bad war and segregation are. Please say more about the links between war, segregation, and environmental degradation. Also, have you heard about the Idle No More Movement? If so, your thoughts about it? It seems like Idle No More is one more way that we are waking up to the we-ness of life on our planet–the unity King was talking about. Thanks for your provocative comment and the suggestion about the Idle No More Movement. I hadn’t heard about it, but I will check it out. To me the links between war, segregation, and environmental degradation (and lots of other societal problems) are the shared root of injustice, so while we tend to think about these as discrete issues–which can be helpful at times–we often lose sight of the fact that they are symptoms of division, of us seeing each other as “other.” What I find so inspiring about Martin Luther King’s approach is that he led with compassion and unbending commitment to nonviolence (although in the early days he had a learning curve on this too, based on some things I’ve read). That enabled him to focus on fighting injustice, not just fighting war, segregation, environmental degradation, etc. I am happy that I found your blog. because it give me to give my take on the Dreamer. I am also happy that God gave me the opportunity to live in this period to witness the greatest drme of all times. It gives us and opportunity to put life in a dream that could be lifeless if . I know not what oteres may do, as for me give me a dream overflowing with life. This was what Dr. King was talking about when he saiid that you may not get there with me but we will get to the promise land.So I am happy that I was around to witness Dr. kings dreams. Now its out turn to breath life back into thos dream that Dr. kiong so eloquent left for us. Thanks so much for reading, Solomon.